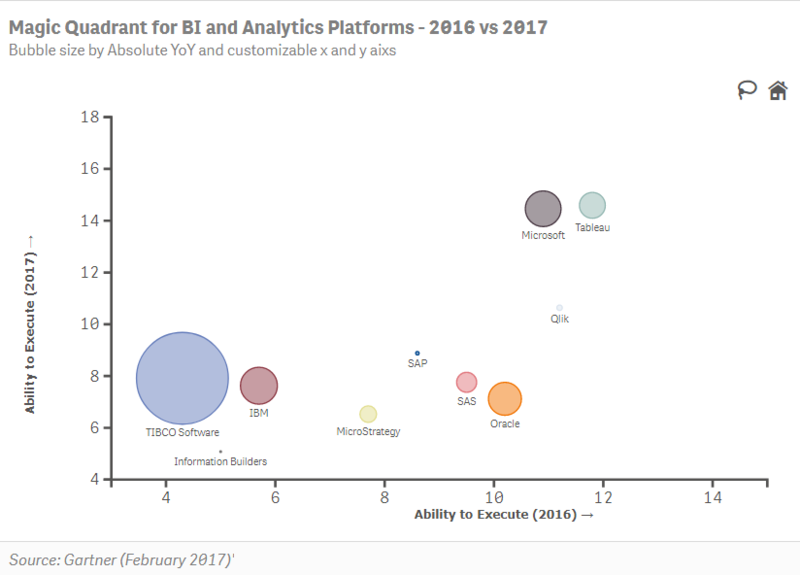 It displays the relationship between two quantitative measures for different categories. It is used to explore the potential existence, extent or absence of a significant correlation between the plotted variables visually. 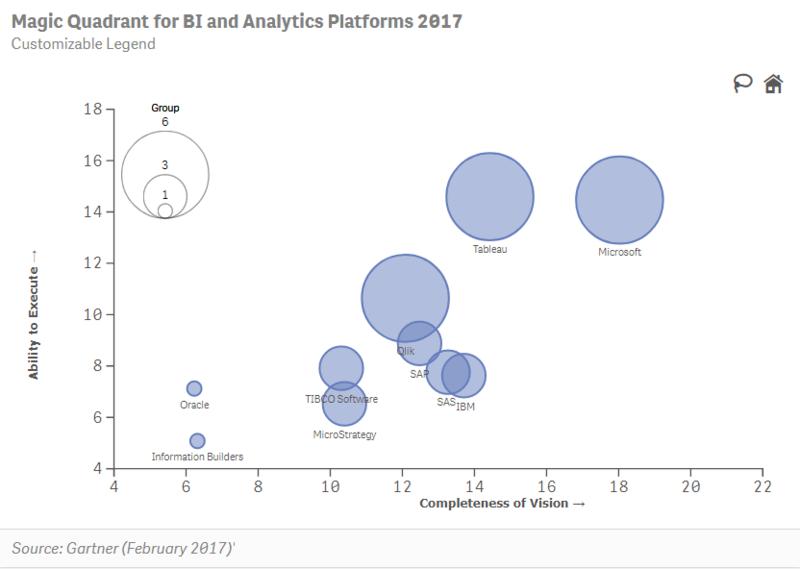 Open Qlik Sense and add the 'Vizlib Scatter Plot' extension to a sheet. 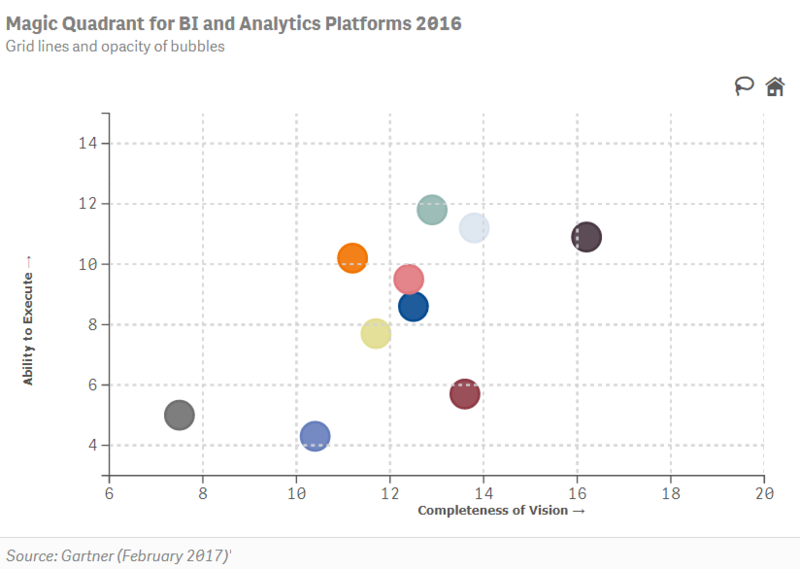 Support for one dimension (Second time dimension optional) and three metrics (x/y/bubble size). Full interactivity support including Lasso functionality for selecting values. Free zooming and navigation on the Scatter Plot. 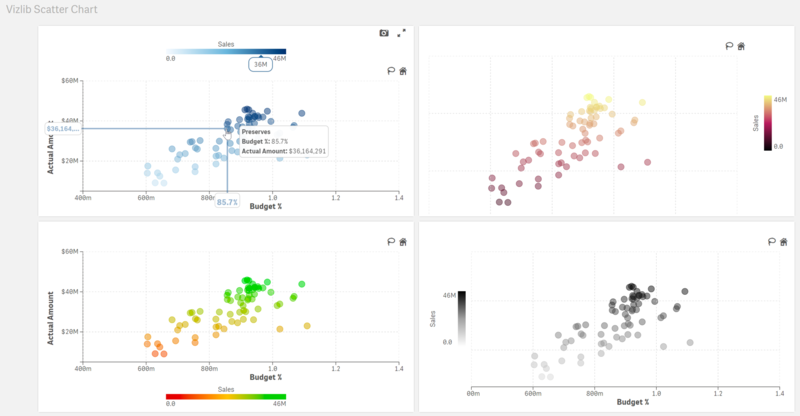 The Vizlib Scatter Chart supports up to two dimensions. The first one can be chosen freely but is mandatory to get the visualization displayed. The second dimension is required if the user wishes to display the historical tracking trails of a dimension over time. For this, the second dimension needs to be a timestamp. If you decide to add a second dimension, please ensure there are no gaps in time values, and the dimensions all have 100% data density. The Scatter Chart supports up to three measures of which two are mandatory, and one is optional (bubble size). The Bubbles in the Scatter Chart have the ability to express the magnitude of a data point by their size. Making them visually compelling is one of the most important missions of the Scatter Chart. Show/Hide the Data Labels (of dimensional values) on the bubbles. If shown, they will be positioned right below the bubbles. More data label positions will be available in the future. If data labels are displayed, depending on the position of the bubbles they label run the risk of overlapping. This setting rearranges the labels, so they overlap as little as possible. Changes the font colors of the data labels. Changes the font size of the data labels. Changes the font family of the data labels. This setting allows you to set the bubble size. The formula to determine the actual bubble size is Math.Pow([Data Value]*[Bubble Size Setting]), 1/2). Allows the user to decide how the bubbles are colored either by setting a fixed color for each dimension or by using a color expression. Changes the opacity of the fill color of the bubbles. Max opacity (100%) display the line as is whereas min opacity (0%) hides the lines. Changes the border width of the bubbles in px. The Grid in the Scatter Chart represents a series of numbered horizontal and vertical lines that divide a chart into squares to form a grid using which any point may be located by a system of rectangular coordinates. Shows or hide the background grid. Defines the line style of the grid. 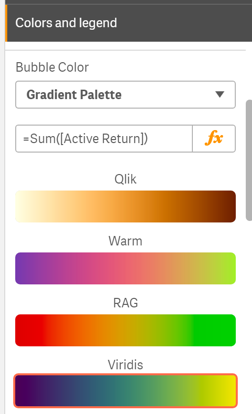 Either select a color from the color picker or enter your hex color code into the function below. Defines the opacitiy/visibility of the grid lines. Max opacity (100%) display the line as is whereas min opacity (0%) totally hides the lines. Grid thickness defines the thickness of the grid lines in px. 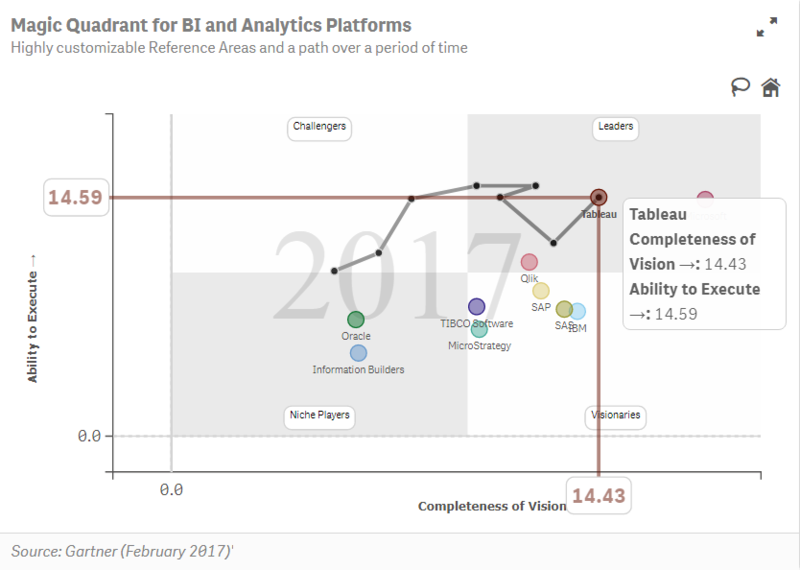 Interactivity enables the users to interact with the data in the chart as well as navigate throughout the scatter view for a better view of the chart. Gives the user the ability to select the bubbles in the chart in order to pass selections back to the app. Quick select circumvents the selection confirmation steps and initiates the selections right away. Quick select suppressed the ability to multi-select, but that's where the lasso can be utilized. The lasso functionality allows the users to draw a lasso circle with the mouse to interactively select multiple bubbles in one go. 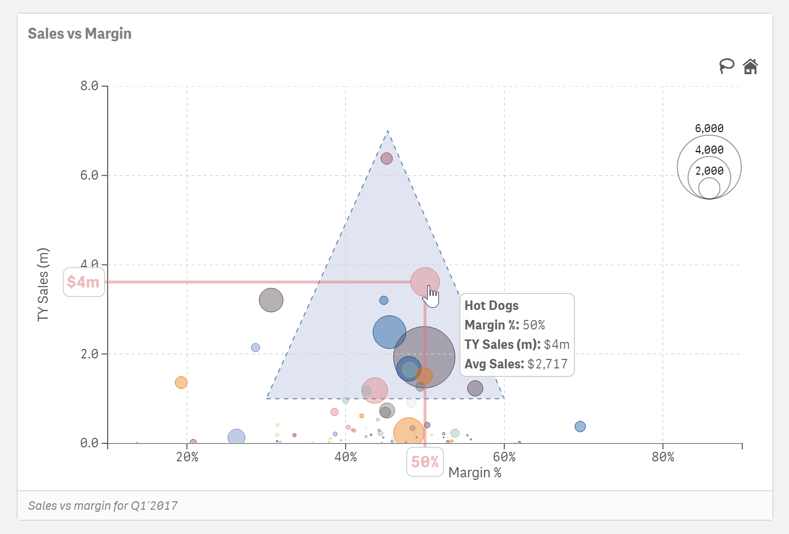 The lasso can be used by start dragging on a space on the chart, or, when interactive zooming is enabled, by selecting the lasso button at the top hand right side. 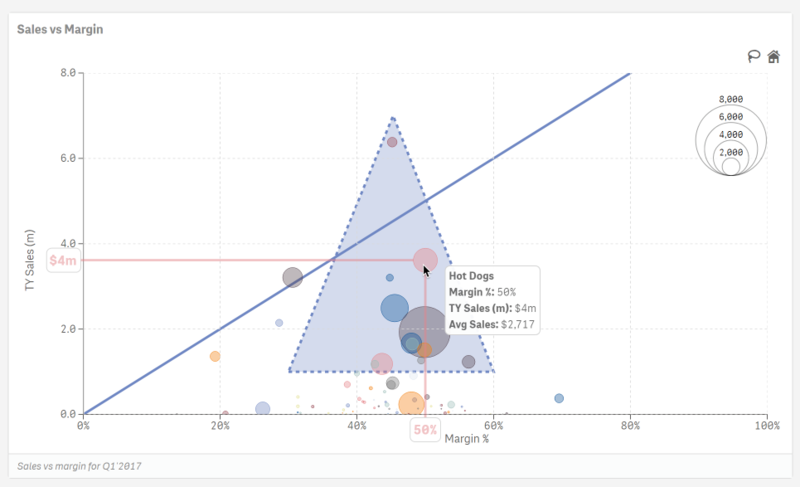 Interactive zoom allows the user to navigate and to zoom in/out throughout the scatter chart to create a better view of the plotted data points. Activates the tooltip functionality which pops up a mini window with information about the bubble data point when hovering over it. 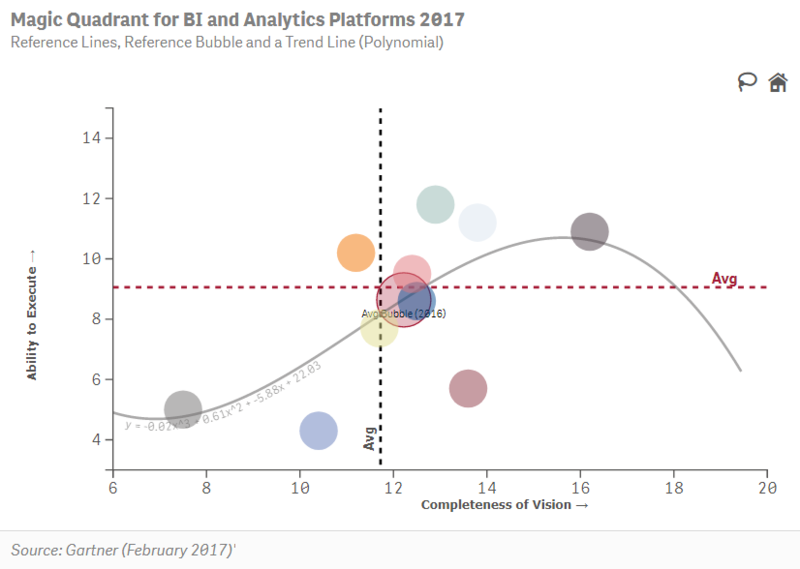 When hovering a bubble data point, vertical and horizontal guidelines are popping up and display the x & y-Axis value of the data point directly on the axis. Added dynamic label visibility (show label condition in bubbles). Added bubble color by dimension option where the dimension is an expression box so a dimension outside the current scatter data definition can be used. Added trendline by dimension color. Multiple trendlines can be used for different groups of data points. Bubble border has a dynamic calculation. Different bubbles can have a different border thickness. Underline font style was not applied for dimension and axis titles. Fixed some label cuts on the dimension label when using certain font families and styles. Switching between sheets causes scatter chart disappearing in some scenarios. Reverse Colors option was not always working. Added a conditional show/hide condition for displaying labels in the scatter. Added new option in interactivity to have more control about the zooming levels and boundaries. Gradient color pallette editor in June'18 had some minnor UX issues. Data handling (all) was not loading all data pages. Legend tooltip was disappearing in some scenarios when the Vizlib Bar Chart was present on the same sheet. Vizlib wizard was not working showing up by default. x-axis reference line labels were not showing up. Sometimes the negative data points were out of the view and you had to zoom out to see them. Grid was on top of the data points, now it has been placed in the background. Measure titles in some scenarios were getting overlapped and/or cut off. Font Family was not supported for Bubble Labels and x & y dimension titles. Expressions on measures & dimension titles was showing an expression and not the evaluated title. Vizlib wizard was not working. Fixed extension collision with other Vizlib comonents, creating some unexpected behaviour on the Vizlib tooltips in some scenarios. Vizlib Scatter Chart now supports logarithmic scales for its x & y-Axis. Ability to add a currency symbol to the axis. Added legend and title for gradient bubble coloring where the legend can be positioned into top/bottom/left/right area of the chart. Selections wouldn't work in the FEShowHide Container extension. Regression Line is now positioned above the bubbles to be better visible. Color picker for the trendline in the property panel didn't work. Added a new bubble color option: 'Gradient Palette', where the color of the bubbles can be determined by an expression and interpolated based on a set of gradient palettes. When the x-Axis would be a Date Measure, the outer tick labels would get cut-off. Tooltips would not disappear after selections. Property Panel was inadvertently resetting the bubble chart custom colors. A collision issue with the Vizlib Heatmap was fixed. New Polygon Reference Area. Define corner points and create your own bespoke reference area, like triangles, stars, and hexagons. Option to load as many data points as you like! Fixed an issue where the min/max scale values were not working as expected. Pagination was offset by one page. Measure Color resets to the default value when another property was updated. Fix introduced for WebSocket communication error when the extension is embedded in mashups sitting outside of Qlik Sense hostname. Snailtrail now supports all types of Dates (Year, Date, Month). Bug fix where two snail trails could not be displayed on the same sheet. If the snail trail data is incomplete, an error message is spat out. Tiny updates to the property panel. 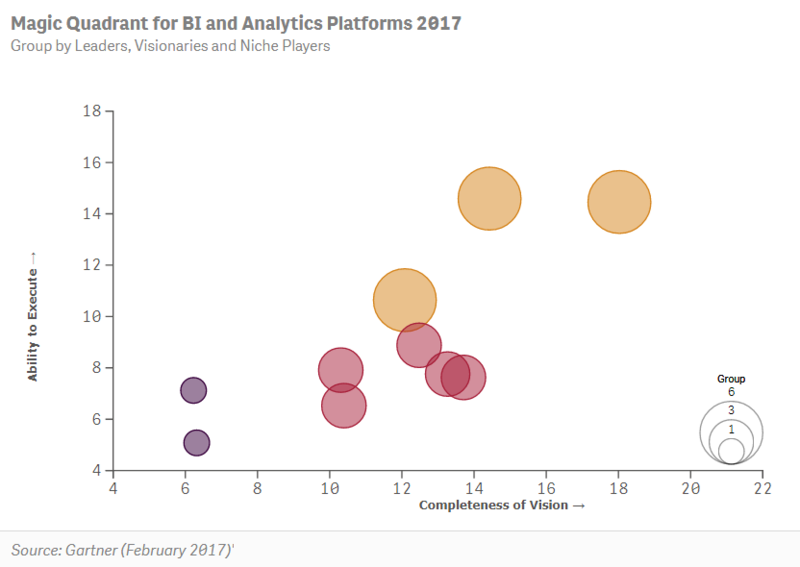 First Version of the Vizlib Scatter Plot with rich functionality and features which go beyond the capabilities of the native Qlik Sense Scatter Chart.